In my previous post I mentioned that I had purchased a WD Green 240GB SSD. Along with that I also mentioned the benefits of SSD over HDD and why you should also switch. If you use your SSD with a traditional hard disk, there are is one major thing that you need to ensure. You need to make sure that your Windows is sitting on the SSD and not on the hard disk. One reason of moving to SSD is speed and if Windows 10 is sitting on the hard disk, you’ll not experience the speed difference. Thus it is very important to ensure that you move Windows 10 to SSD along with any other software that you use regularly. This will make things faster and you will definitely feel a difference when using your desktop. 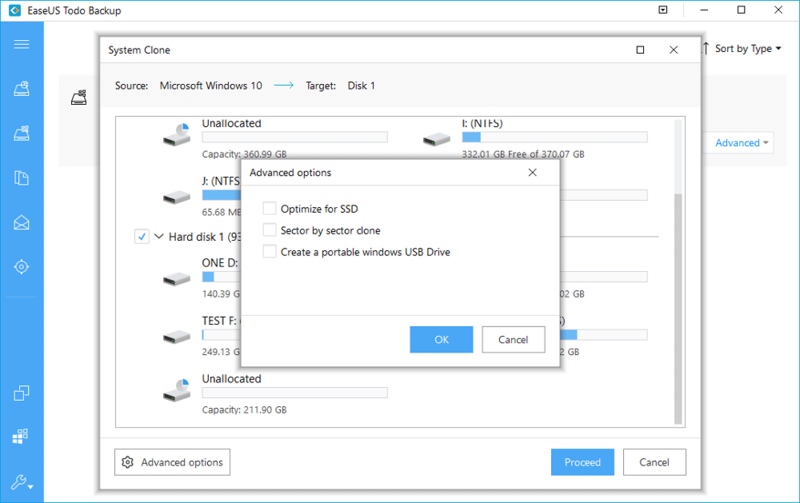 In this post I’ll be talking about the steps that I followed for moving Windows 10 to SSD from HDD. The thumb rule to follow whenever you are using any device with memory is to take a backup. Because if anything goes wrong in the process, you’ll lose a lot. Hence to prevent that it is recommended to take a backup. In my case I backed up all the important files I had on my external HDD. Now, the hard disk that I have is of 500 Gb while the new SSD is just 240GB. So how to move windows 10 to SSD with lower capacity ? To achieve this we need to clone the entire C drive to the SSD. Note: Simply copy pasting your windows folder or the C drive doesn’t work. This because your there are some boot settings that need to done in the process. This doesn’t happen when you are copy pasting the folder. Thus you need to clone the entire C drive that will copy these settings too. Congratulations, you have successfully moved windows 10 to SSD from HDD. Mention in the comments below if you experienced faster boot time ! At this point you have two replicas of the same partition and I’m sure you don’t want it. This work is very easy with EaseUS Partition Manager but unfortunately the free version doesn’t allow it. For this you can use the built in Disk Management tool. You can follow the below steps to delete the partition and free up space. Once this is done, you can either leave it as a new partition or merge it with some existing partition on your hard disk.